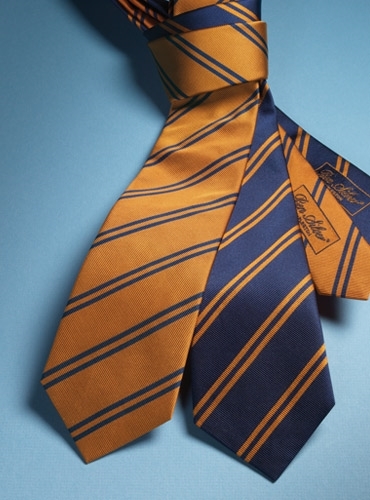 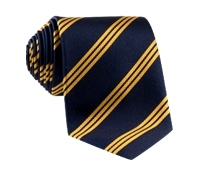 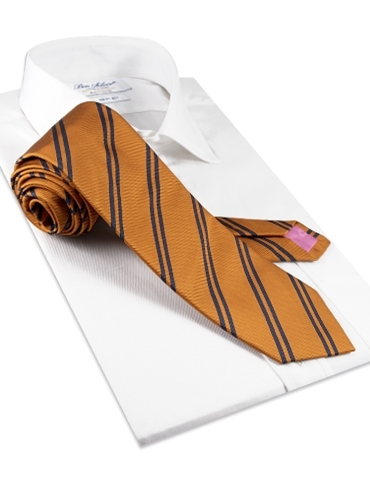 Pure silk double bar striped ties. 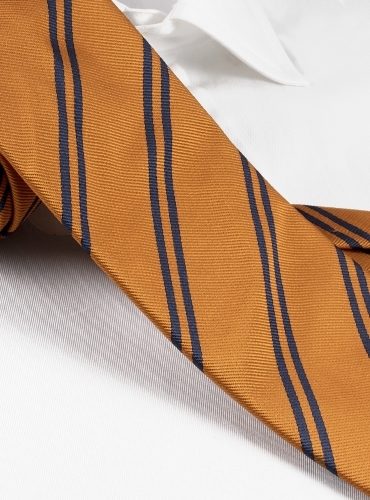 Featured is A-copper with navy stripes. 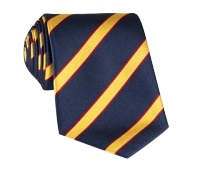 Also available: B-navy with copper stripes.